rut This coupon is valid and working as described. Select your product, go to the shopping cart, enter the promotional code and Get 40% Off Your Next Order at Nursing Pillow. 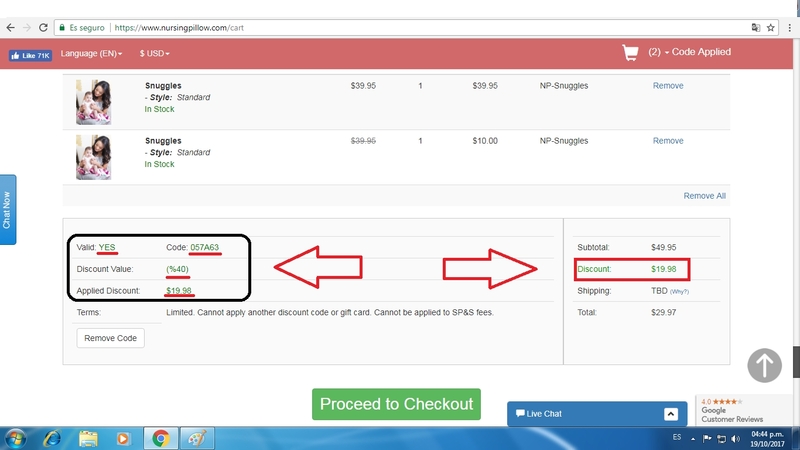 Carlos Alberto I tested this deal and its working as described. 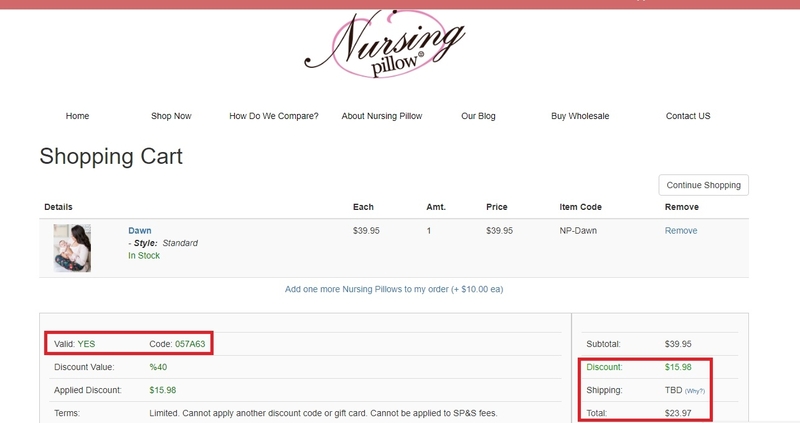 Simply, enter this code during the checkout to get 40% off on your order at nursingpillow.com. Laurel Muller Use this code at checkout to apply the discount. Certain offers cannot be combined with other offers, discounts, or deals. 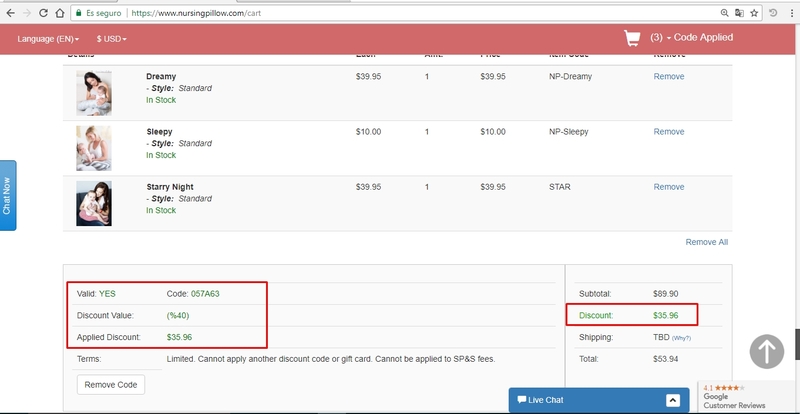 jose miguel leal Simply enter the code during the checkout process to apply this discount. There may be some exclusions that apply to this deal.